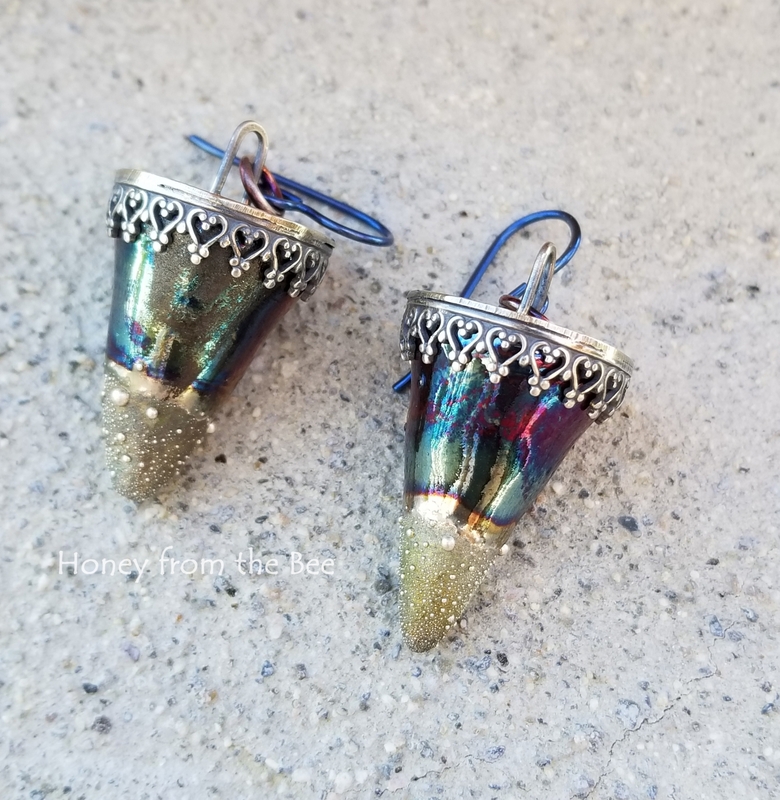 These Iridescent blue and red Raku and Silver earrings are so special. I did the prototype last summer and loved them so much I kept them and wear them often. I just love them! 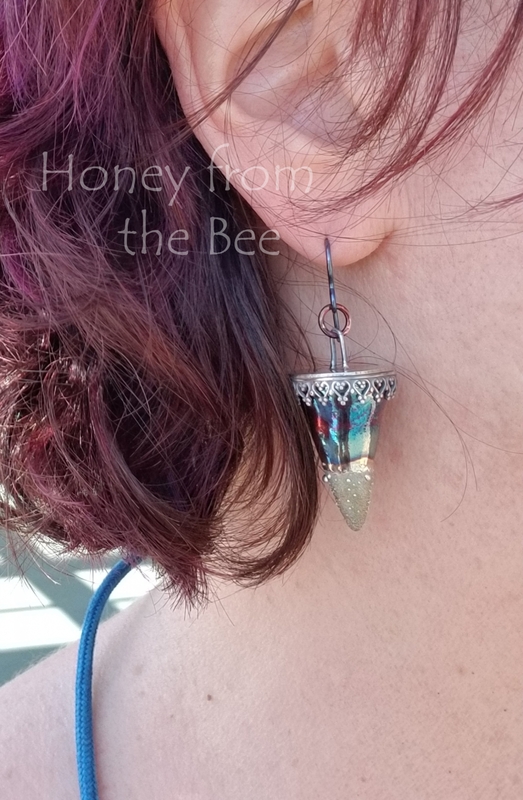 The ceramic cones are raku with silver and made by Maku Studios for me. I've set them in sterling silver. Raku is a process where the results can be very random, but Mak has managed to get really consistent results through many years of practice and talent. Shades of blue and burgundy as well as soft teal can be seen in the different pieces. 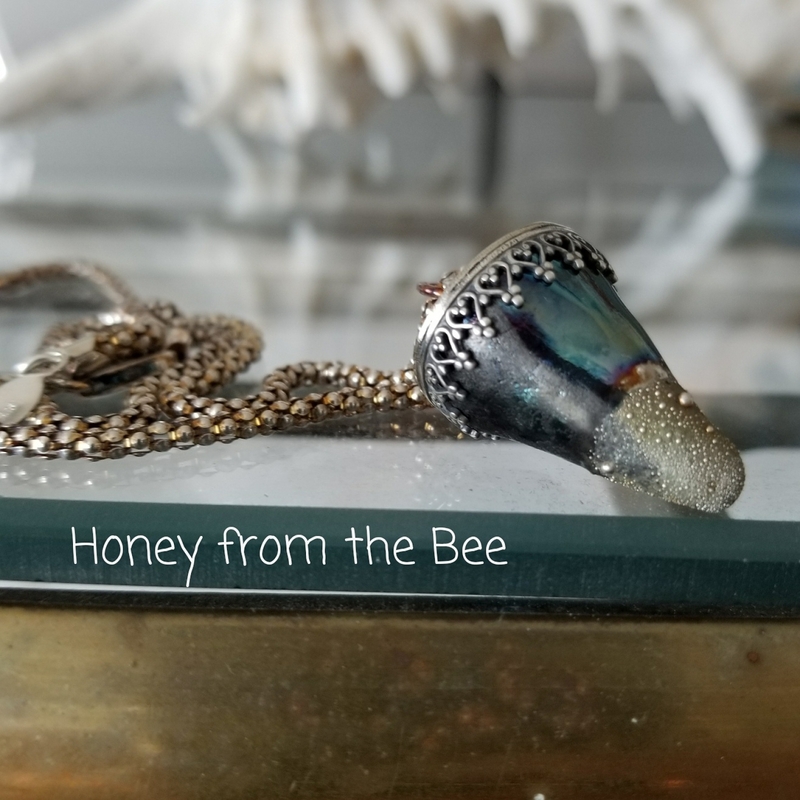 Raku: Ceramic beads are taken out of a very hot kiln and placed in a can filled with combustibles and a lid is quickly put over the can to create an oxygen deprived environment. The result is the iridescent oil slick sort of look that you see in these photos. 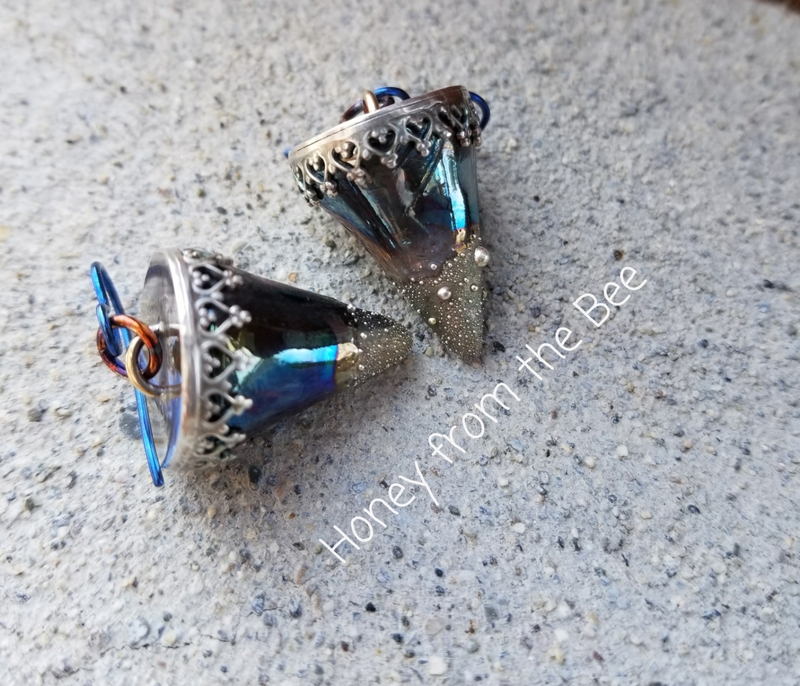 Cones are handmade and thus varying heights by about 1/8 to 1/4 inch. The current ones available are in first photo and are just over 1.5 inches.